A Risotto is a traditional Italian rice dish. It’s origin is in North Italy where paddy is grown abundantly. Risotto is best made with short- and medium-grain rice, which tends to be stickier than long-grain rice varieties. Three varieties are best suited to making risotto: Arborio, Carnaroli and Vialone Nano, of these Arborio is the only variety available here. How to make a risotto? The main feature of a risotto dish is the maintenance of starch at the end of cooking that binds the grains together as a cream. For this, it is made by briefly sautéing the rice in olive oil or butter, often with some onion, then adding a little bit of stock, stirring almost constantly until the rice absorbs the stock, then adding a bit more stock, stirring, adding, stirring, adding until it’s done. It usually takes between 20 - 30 minutes of stirring. When it’s done, the rice is cooked through and bound in an amazingly beautiful creamy sauce that is made as the starch leaches out of the rice grains and combines with the stock.The rice can be made with cheese or without the cheese. It’s needless to say, it tastes better with the cheese. The Parmesan cheese is ideally used in a risotto. Unlike the traditional method of making the risotto I did not use any of these rice but I used the local small grain produce. I did not constantly stir the rice, but I cooked the rice without pressure with an extra amount of stock to ensure that the rice was soft and sticky, and stirred it twice in between. I added partly the stock and partly the stock cubes as I was short of the fresh veg stock. I made the not so cheesy version and added the cheese in very small quantity as I am still not giving more of fats to my younger one, have promised him will make him a cheesy risotto, once he recuperates completely. You can see in the click, mine is not so cheesy. Nevertheless, with all the exceptions I made, the rice was too good to resist and was very filling. It was a complete meal in itself as I had added the legumes and the vegetables to it. To add to the crunch there were the Cashews in it. The celery and parsley added their natural flavors to the rice.Since the rice is very soft it’s easy to eat. The family enjoyed the dinner thoroughly and are awaiting the cheesier version. Soak the kidney beans for 6-7 hrs and cook in pressure cooker till soft. Drain the water and use the beans. Heat half the oil and add onions, cook for 5-6 mins or till they are soft , then add the garlic and cook for a min. Add in the rice and mix properly so that the rice gets coated with oil properly. Mix for 2-3 minutes, now add the stock. I added half a liter of fresh vegetable stock and dissolved 11/2 cubes of veg stock in half liter of water. Season with salt and cook for about 25-30 mins on low flame after the first boil. Meanwhile, heat the remaining oil in a heavy bottomed pan and add the mushrooms followed by garlic and celery and saute. Now throw in the parsley and capsicum. Season with salt and white pepper. One must take into account that the salt has been added in rice as well as the beans. Mix in the cooked kidney beans and cashew nuts. Finally add the cooked rice and cheese and mix properly till the cheese melts and gets mixed in properly. Garnish with some chopped parsley and fried cashews. Serve immediately. Wow! Risotto looks really delish! BTW, I've updated another snap of the balls with clear visibility. nice! I love risotto!....my fav dish! Nice descriptive directions and the risotto looks delicious Pari! Love all the Italian dishes. Very filling and flavorful. Risotto with kidney bean looks so delicious. Nice recipe dear. very healthy and yummy dear. Wow! !Delicious risotto,looks very fabulous... Never tried risotto...Nicely presented..Keep rocking!! Thank you for sharing :) This is new to me. Looks so yummy! I love risotto and I am making them quite often these days. Very healthy and yummy risotto! Great Directions and a lovelypost...I have to make these someday..only thing is I am lactose intolerant..but these are so good! What a delicious risotto! It looks so tasty and healthy. I found that Japanese short-grain rice also makes a good risotto. I say a big YES to this yummy recipe. Love all the ingredients in this one. Oh my goodness, I LOVE this dish. I made mushroom risotto too and loved it. And I guess you gave it a slight Indian touch with the cashewnuts! Great pictures. And nice narration too. Beautiful presentation with lovely pictures. It looks yummy and delicious. Delicious rissotto, never thought of making out rissotto with kidney bean definitely a filling dish with plenty of proteins..
Risotto looks too good. 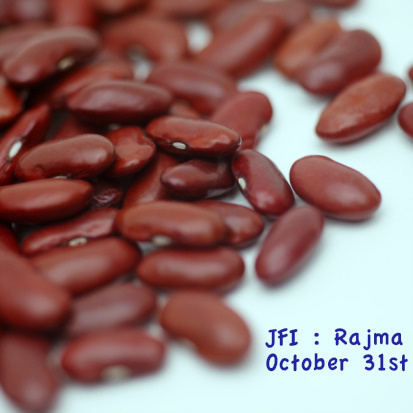 And thanks for sending this yummy dish for the JFI:Rajma event! 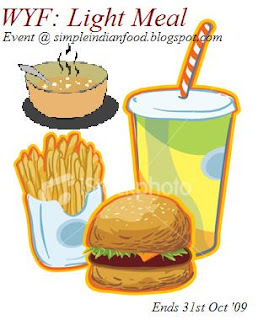 Wow.. Yummy yummy... and step by step presentation makes it all the more appealing!! I am confused too, why your earlier comment didnt appear.. this happened to me too while leaving comments in other's blogs!! Anyways, thanks for dropping by dear..